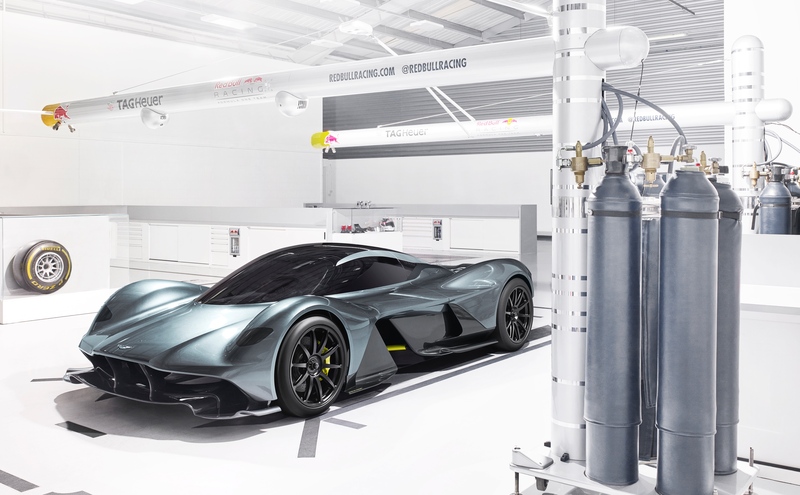 Aston Martin and Red Bull Advanced Technologies, along with project partner AF Racing have teamed up to produce an otherworldly hypercar, recently announcing their key technical partners for project AM-RB 001. These technical partners have been carefully selected based on their expertise and experience, as well as their tenacity when it comes to pushing the boundaries of performance. 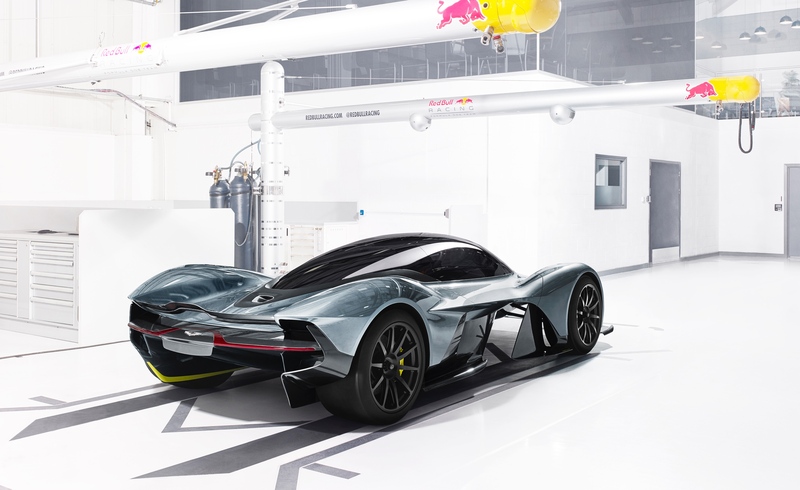 As is expected with designing a car poised to redefine the limits of road car performance, Adrian Newey – Red Bull Racing’s Chief Officer, and Aston Martin’s VP/ Chief Special Operations Officer – David King and his team say they will embrace the challenges ahead. Cosworth sets the benchmark, their name is legendary when it comes to engine building, so it was only natural that their expertise was enlisted to build the AM-RB 001. The hypercar will feature a high-revving 6.5-litre V12 engine built by Cosworth as they bring their Formula One and high-performance production engine experience to the table, ready to produce something highly bespoke with unparalleled performance. The transmission that will be paired with this impressive power plant is a highly bespoke 7-speed paddle shift manufactured by Ricardo, to Red Bull Advanced Technologies’ specifications, complementing the V12 engine perfectly. In a bid to achieve Newey’s uncompromising goals, Ricardo will deploy intelligent engineering solutions while conforming to the hypercar’s minimal mass/ maximum efficiency ethos, led by Red Bull Advanced Technologies’ simulation work. The AM-DB 001 project will boast a lightweight battery system supplied by Rimac, a company acknowledged as the world-leaders in high-performance battery technology; a move rumoured to be an effort to exceed seemingly simple goal of “the ultimate road-legal internal combustion engine”. The Croatian-based company has already flexed their muscles in the innovation arena with the acclaimed Concept-One: The world’s first – and fastest – all electric hypercar. The chassis will be made up of a single-cell carbon fiber MonoCell made by industry-leading composite experts Multimatic, in an effort to further reduce the lightweight construction. 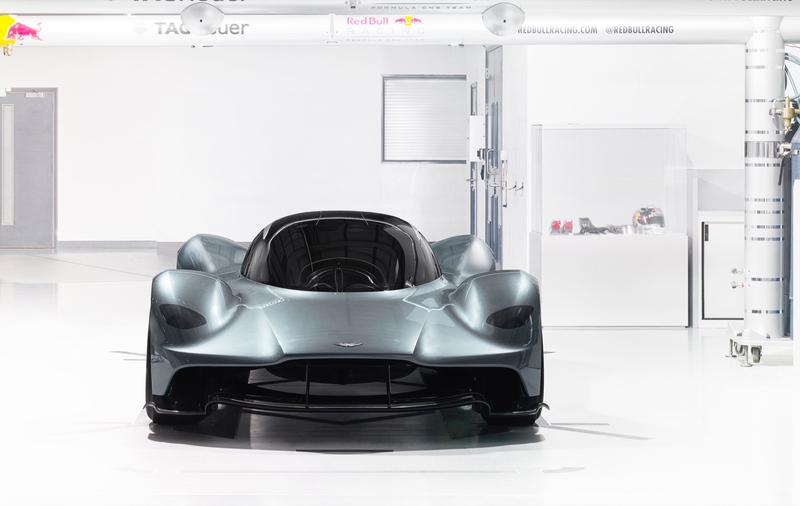 Multimatic are a long-standing partner of Aston Martin, having previously assisted on the One-77 and Vulcan projects; two mammoth tasks respectively. Red bull Advanced Technologies will bring along their design and vehicle-building skills which have been accrued over years of producing their winning Formula One cars, whilst Multimatic will produce unrivalled industry experience to create a dream-team for what is sure to be one of the most advanced hypercars ever produced. 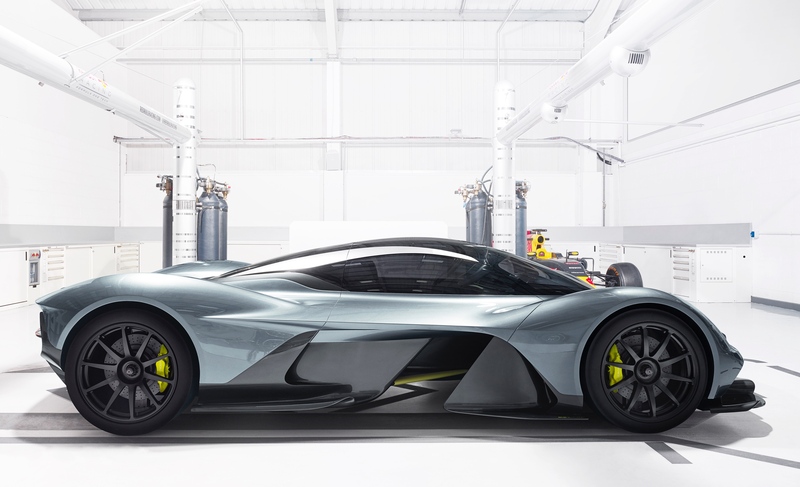 The AM-RB 001 is designed with a power-to-weight ratio of 1:1, giving it one brake-horse-power (bhp) to every kilogram of curb-weight; pulling up a vehicle of such great ratios is light weight high-performance brake calipers and carbon discs supplied by Alcon and Surface Transforms. Bespoke Engine Control Unit (ECU), Transmission Control Unit (TCU) and Electronic Stability Program (ESP) will be developed by renowned industry specialists Bosch, guaranteeing maximum performance, efficiency and dynamic control. The full LED headlamps and tail lights will be produced by UK light manufacturer Wipac. 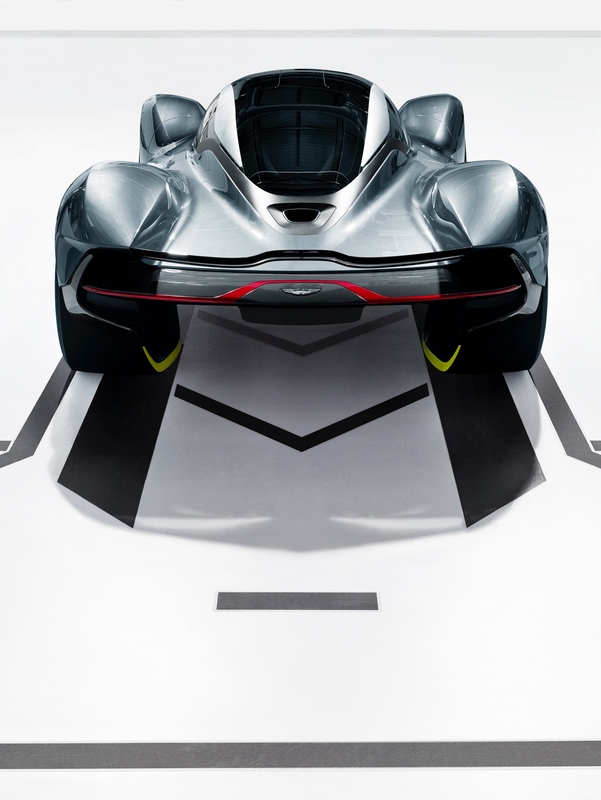 “Much like Formula One, designing, engineering, and building a car like the AM-RB001 is a massive team effort. To achieve great things you need to surround yourself with the best people. Experience, creativity, energy, diligence and perfectionism are absolute must-have qualities in every area of the project. Having great technical partners such as those working with us is both reassuring and motivating. Together we aim to produce an innovative piece of engineering art.” Says Red Bull Racing’s Chief Technical Officer, Adrian Newey. 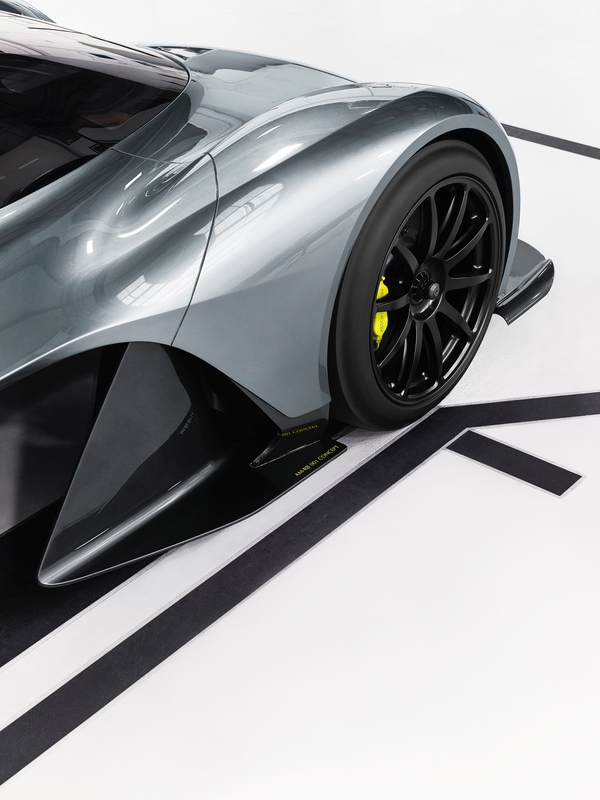 A maximum of 150 road-going AM-RB 001’s will be built including all remaining prototypes, with 25 additional track-only versions. Deliveries a scheduled for 2019.